Dr. Pamela D. Palmater is a Mi'kmaw lawyer, associate professor and chair in Indigenous Governance at Ryerson University. Her book Beyond Blood: Rethinking Indigenous Identity focuses on the legal, political, and social implications of Indian status. Lynn Gehl, a First Nations woman from Ontario, was in court today defending her right to belong to her family, her community and her Nation. Lynn is prevented from enjoying her Anishinaabe identity because her mother was unwed. Imagine if Canadians had to worry about losing their Canadian citizenship or the right to live in their home province based on who they married or their gender. 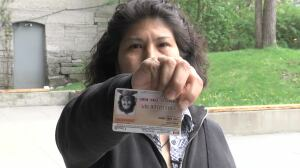 For Lynn and other First Nations people like her, their identity is regulated by Aboriginal Affairs and Northern Development Canada (AANDC) under the Indian registration system in the Indian Act. Despite numerous amendments to the Indian Act since 1876, Indian registration (status) can be granted or lost at the sole discretion of the government registrar based on one's gender or marital status. Lynn has been fighting AANDC's decision since the 1990s and her legal counsel, Christa Big Canoe, from Aboriginal Legal Services Toronto, is defending her right to Indian status in court on Monday and Tuesday. But, the real question is: why should Canadians care about this case? The current law and policy discriminates against Indian women and children whose fathers are unknown. Lynn's family originates from Algonquins of Pikwakanagan (formerly Golden Lake Band) in Ontario. She has more than five continuous generations of Indian ancestry and was raised in the traditions and practices of her Algonquin AnishinaabeNation. Yet, despite her ancestry, her connection to her culture and her communal ties, AANDC determined that she does not qualify for Indian status because her father was born out of wedlock to an Indian mother who was unwed and did not name the father. The quality of life of Indian women and children whose fathers are unknown are negatively impacted. Indian women are most often the primary caregivers of their children and statistically more likely to live in poverty. 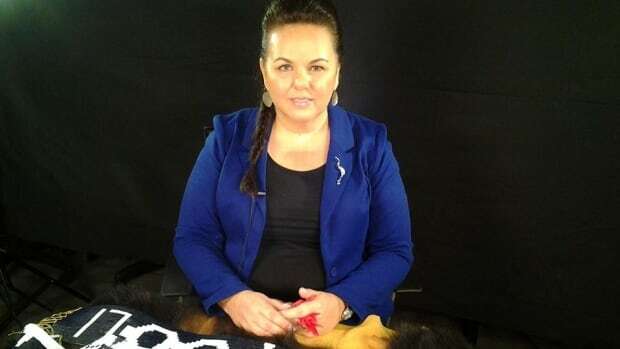 This is especially true of young, teenage indigenous mothers - 80 per cent of whom were found to live in households making less than $15,000 a year. These mothers, often lone parents, depend on the federal programs and services associated with Indian status to care for their children. And provincial governments are often reluctant to assume responsibility for non-status aboriginal people. 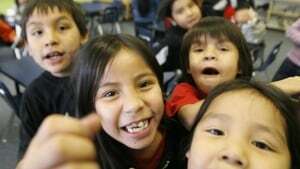 The refusal to register Indian children with the same status as their Indian mothers impacts nearly 50,000 Indian children in Canada. Every child in Canada has a right to enjoy their culture without government interference. Indian status is about far more than programs and services. It impacts one's ability to belong to one's First Nation community, to run for or vote in First Nation governments, to live and attend school on reserve, to access treaty rights, and to access one's elders, cultural gatherings and the language speakers. The denial of Indian status separates children with unknown fathers from their families, their communities and their cultures. The Indian Act is systematically eliminating "Indians". There is a legislative extinction date for each First Nation in this country based on when their last status Indian and/or band member will be born. Since 1876, the primary purpose of the Indian Act and Canada's related policies was geared towards what Duncan Campbell Scott referred to as "the final solution" - i.e. to ensure "there is not a single Indian in Canada." No First Nation should have to worry about their treaty partner trying to erase them from existence. Canada is the last remaining country in the world to continue to use race and gender to determine the identities of indigenous peoples. We are all treaty partners and in those treaties we agreed to share the lands and resources, enjoy mutual prosperity and be free to live and work alongside one another. Most importantly, the social cohesion and fraternity of sharing this multi-national territory depended on our intermarriage, having children and sharing in the gifts of each other's cultures. Imagine if a Canadian woman from New Brunswick were to meet and fall in love with a man from Nova Scotia and they decided to live together and have children. Should that unwed New Brunswick woman lose her Canadian citizenship or her right to live in New Brunswick or her ability to access vital education and health care programs for her and her children? Of course not. But this is the reality for First Nations people. Canada is a democratic country governed by the Constitution Act of 1982 which not only ensures legal equality between men and women and protects the rights of all peoples to enjoy their cultures, but also guarantees our freedom from arbitrary interference by the government. Equally as important are the legal protections for indigenous peoples with regards to their aboriginal and treaty rights - one of which is the right to their identity, their culture and the right to belong to their communities. Even if Lynn Gehl is successful in her case this week, this is but one small step in a protracted legal battle between Indian women and AANDC over ongoing gender discrimination. While the repeal of the Indian Act may be some time away, it's certainly long past time we amended the Indian Act to guarantee equality between men and women.